Trust Cape Silica Suppliers for the best quality sand! Delivery in South Africa and surrounds. Applications of Silica Sand include Horse Racing Tracks, Pool filters, Sand blasting, Boreholes, Golf courses and much more! Our Managment Team has over 27 years of experience in the Silica industry and we pride ourselves on quality. Looking for quality and reliable Silica Sand suppliers? Let Cape Silica Suppliers find the perfect solution! 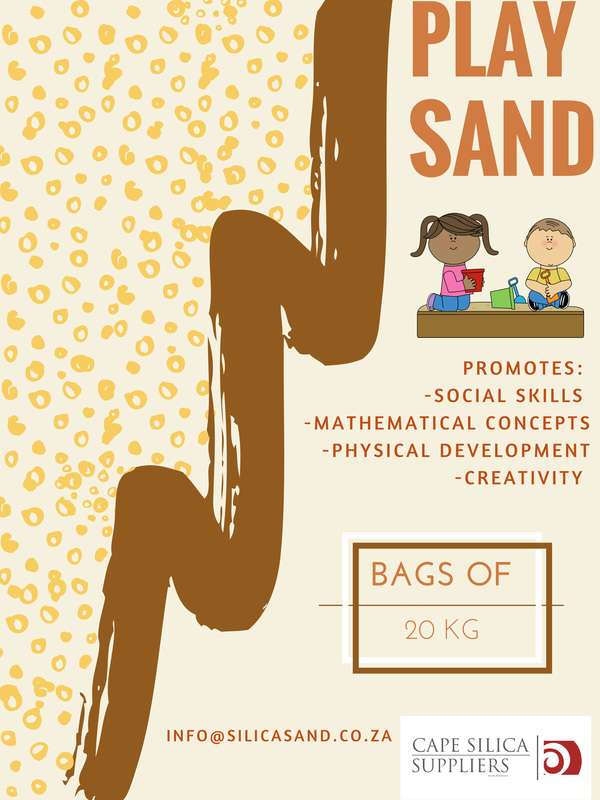 Play sand promotes social skills, mathematical concepts, physical development and creativity. Our Management Team has over 27 years of experience in the Silica industry. We supply sand in 25kg, 40kg and 1,5 ton bulk bags as well as loose bulk. Cape Silica Suppliers deliver across South Africa and in neighbouring African countries. We supply Silica Sand for application in Sand blasting, Spot blasting, Foundry, Polymer Concrete, Boreholes and more! We supply Silica Sand for application in Tile adhesives, Paint Fillers, Waterproofing and more! We suply Silica Sand for application in Horse racing tracks, Golf courses, Playpens, Pool filters, Glass and more! Please don’t hesitate to contact us and let us recommend the right Silica solution for you!